WHEN: Thursday, May 24th Doors 6:30pm. Starts at 7:00pm. 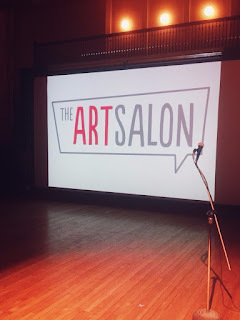 Thursday, May 24th, The ArtSalon brings you the final series of artist presentations for the spring. We will be heading to The MassLife Building located at 1350 Main St, Springfield, MA. The usual format for the ArtSalon is 20 images, each image on the screen for 20 seconds. The Springfield ArtSalon will stay with the short timing but will have a live component in the mix...and then there is the view! Ninth floor of the MassLife Building. We will have signs for you. See you on Thursday! Doors Open at 6:30, presentations start at 7pm.